Kitten with a Whisk: A Dish of Favorite Veggies...AND Bacon! Green beans are one of my favorite vegetables. I came up with this recipe a few months back when BD and I were making a beer can chicken. They were a hit, and we’ve been making them every since. They do take a bit of time because of all the sautéing but are worth it in the end. Plus, I’m a sucker for anything with mushrooms, caramelized onions, and bacon on it. 1. 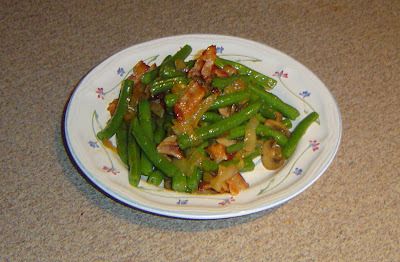 To start, snap your green beans, wash and slice the mushrooms, and slice the onion. 2. Start your bacon anyway you prefer to cook it. Once cooked, chop into bacon bits. 3. In a large skillet, melt two tablespoons of butter. Add mushrooms and sauté until lightly brown. 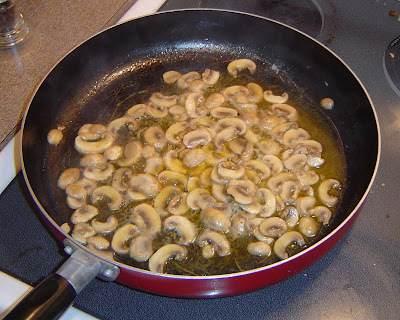 Remove mushrooms, leaving the liquid in the pan. Set mushrooms aside. 4. Add onions and one more tablespoon of butter to pan, and over low heat sauté until caramelized. This will take about 15-20 minutes. 5. 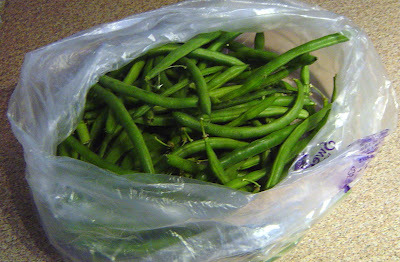 Bring a large pot of water to a hard boil and blanche green beans for five minutes. Remove from water, drain, and rinse with cold water. 6. 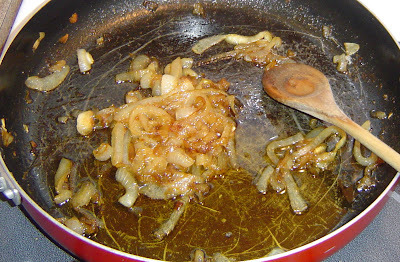 Once onions are caramelized, add remaining butter, mushrooms, green beans, and garlic powder to the pan. Add salt and pepper to taste. Toss everything together for a few minutes, then add bacon and toss again. Serve immediately. My thoughts: The green beans stay nice and crisp and get a lot of flavor from the pepper and butter. plus with the added onions, mushrooms, and bacon they really get dressed up nicely. Green beans almondine USE to be my favorite way to eat them, but this recipe trumps that every time. Bacon makes everything better. I was searing scallops last night and at the last minute tossed in a couple slices of bacon. Scallops, good. Scallops with bacon? Better.